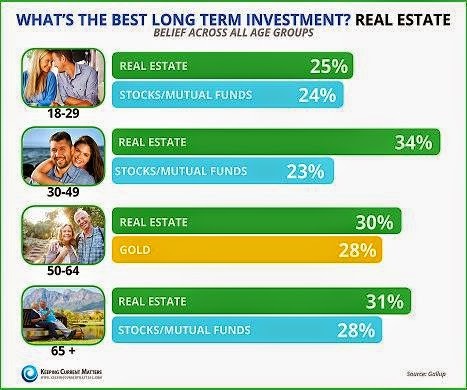 Across all age, groups, real estate is still considered the best long term investment. Whether you are a first-time home buyer, starting your investment portfolio, or a long time homeowner, or investor, having real estate in your portfolio not only adds value, but tax advantages as well. Consult your financial adviser or accountant for more information on the benefits of owning real estate. When it comes to buying or selling real estate, be sure to talk to a real estate professional, one that can handle your sale of purchase of a home or land with knowledge, expertise, and finesse.